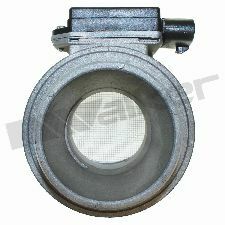 Showing 1 - 2 of 2 Products for Mass Air Flow Sensor Assembly. All Walker MAFs are 100% NEW, no remanufacted sensors. Walker Products new Mass Airflow (MAF) Sensors are designed to provide the vehicles Powertrain Control Module (PCM) with precise information regarding how much air is entering the engine which guarantees ideal engine performance. Walker Products has strict testing procedures that are performed in our full in-house facility. Walker Products MAF sensors are 100% new units (not Remanufactured) and tested to meet or exceed OEM specifications. This insures that the new MAF sensor you purchase will fit properly and function to the standards of the OE unit. Walker has been an automotive industry leader in providing high quality fuel system components since 1946.